Over the last few decades, the world has seen a number of arms races. The USA's clash with the USSR may be the one we’re most familiar with, but the modern-day one brewing between Amazon and Google is just as interesting. What’s at stake in this battle is your home - well, rather, a smarter version of it that they’ll help you control. The two companies have launched product barrage after product barrage in an attempt to win you over and their latest attempts - the Amazon Echo Show (now in its second generation) and the Google Home Hub - are just the next theaters of war. The similarities between the two are uncanny - from form factor to features - heck, even some commands sound the same once you change the word “Alexa” for “Hey, Google”. The result is a device that we feel like we’ve used before, and yet still finds unique new features - like the auto-updating Google Photos gallery and Home View that shows your entire smart home at a glance - that add Google's spin to things. It's all tied together by both the Google Assistant, now slightly smarter than when we saw it last on the Google Home Max and Google Home Mini, and the Google Home app on iOS and Android that you’ll need to pair devices. Combine this simplicity and intelligence with the functionality offered by the speaker itself and you have the makings for a must-have smart home ecosystem that has but a few shortcomings. 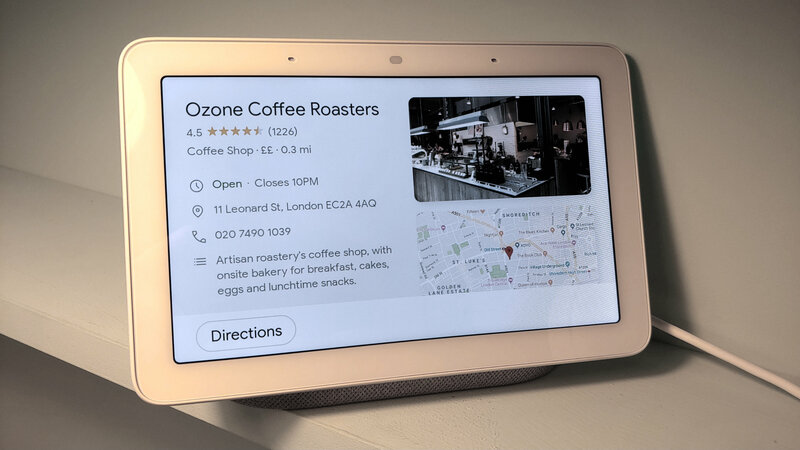 Google Home Hub will be released on October 22 2018 for $149, £139 (around AU$210). It’ll be available first in the US and UK, with availability for Australia to follow after. 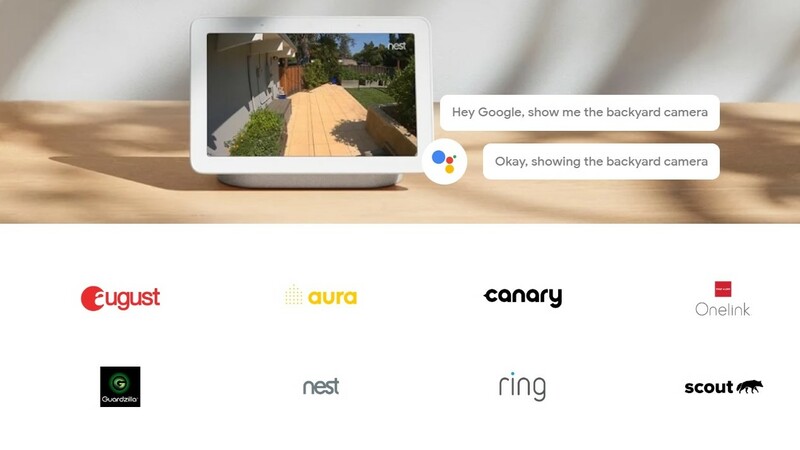 Taken at face value, that sticker price is fairly reasonable - the basic Google Home is $129 (£139, AU$199), which means you get a Hub with a screen for an extra $20. 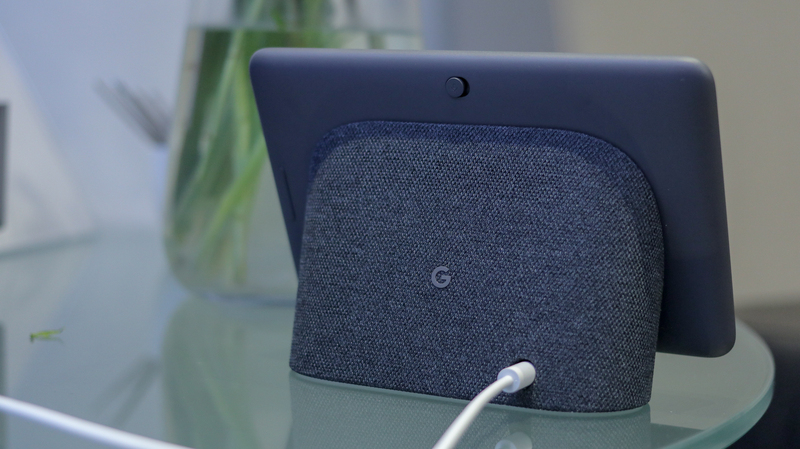 That’s a massively good deal and if you're in the market, we've rounded up the latest Google Home Hub prices. 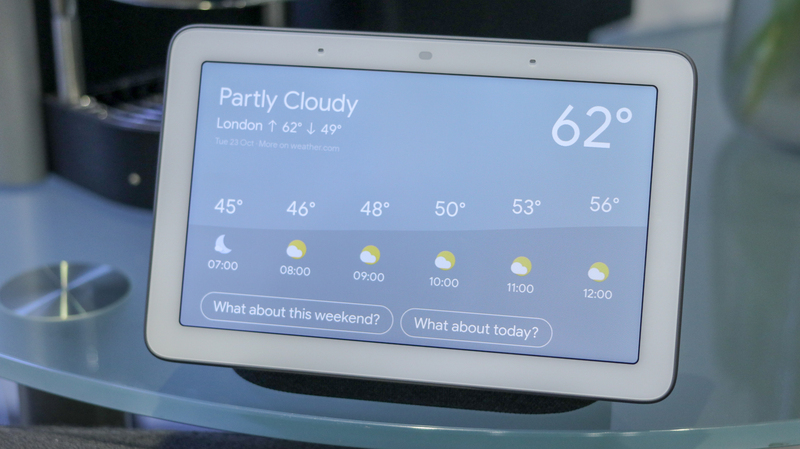 Why is Amazon’s smart screen $80 / £80 more than Google’s? 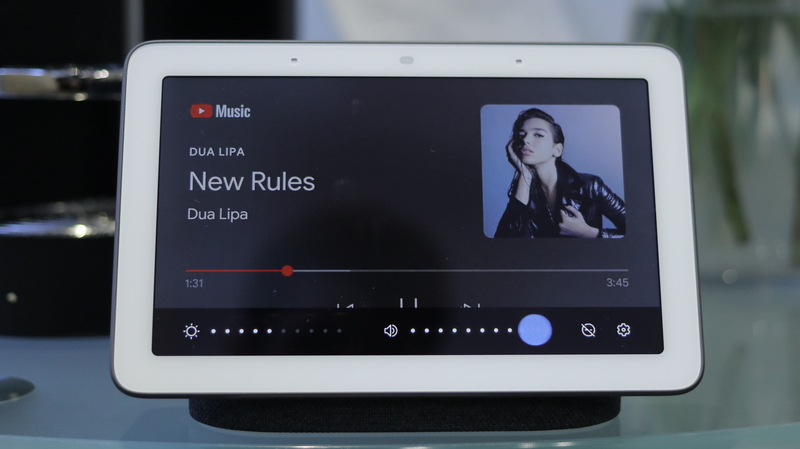 The Echo Show includes a camera that enables immediate video chat with anyone else who owns an Amazon smart speaker - an area that the Google Home Hub has bowed out of entirely – a louder speaker and a larger screen ... but we’ll cover all that and more in the next sections. Even if you are afraid of what might happen to it, you might not want to put it too far away - the 7-inch HD touchscreen is great up close and, unsurprisingly, much less dramatic when seen from afar. For one, photos - especially those shot on a phone - look great on the smaller screen. 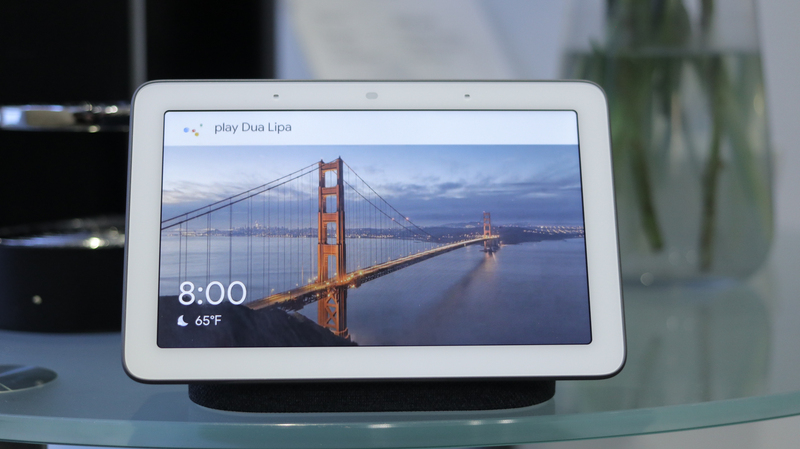 Had Google gone for something larger, say in the the 10- to 12-inch range, photos would not have looked as rich or as clear as they do on the Home Hub. The screen rests on the aforementioned base that puts the display on a comfortable tilt. The aesthetic is rounded out by a colorful bezel which matches the fabric-covered base and comes in four colors: pink, black, white and baby blue. Around the back you'll find a power input, volume control and mic mute toggle - and nothing else. It’s good old Google minimalism at work. Speaking of minimalism, the biggest difference between the Home Hub and the Amazon Echo Show is that the former doesn’t have a 5MP camera - in fact, there’s no camera at all. It’s a decision that Google made to eliminate privacy concerns - but comes with some drawbacks in that you won’t be able to make video calls, or at least ones where the other person can see you. In practice that means the speaker will dial down the blue light output when it’s on your bed stand before bed before automatically turning the display down to near invisible levels when you turn off the lights. Adversely, if you put it next a window in broad daylight, it’ll dial the brightness back up - though, it will top out around 400 nits. That number is fine for photos but, it does stop videos from looking their best (something we’ll touch on a bit more further in the review). 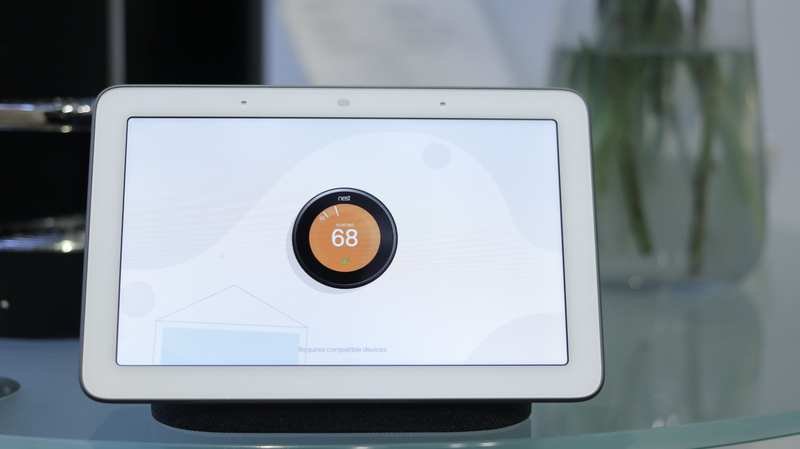 Right, so before you start your smart home odyssey, you’ll need to setup your new device. For Google Home Hub, that will require downloading - or, for some of you, re-installing - the Google Home app. Once that’s locked and loaded on your mobile device of choice, you can simply tap the plus icon under the Home heading, and the app will search for any nearby Made by Google device. After a short pairing process you’ll need to select which room the Hub is located in as well as add any new smart devices you might have purchased alongside the Home Hub. Oh, and if you’re looking at the Google Home Hub as an Amazon Echo Show competitor, you’ll also be pleased to find YouTube in its full form here - alongside its cable-cutting alternative, YouTube TV. That said, while the Show might have skills in the thousands, Google has opted for quality over quantity with a small number of useful, self-explanatory partners and significantly less shovelware. And it’s not just Search to receive the visual update - major Google services, like YouTube, Photos and Maps have been optimized to provide both relevant audio feedback and visual feedback based on your voice search commands. While we could focus in on any number of these in-depth, trust us when we say that Google handles all of their first-party services with a level of tact and care that’s rare to find in a first-generation product. Even some third-party services work great - though many don’t feel as rich or as natural as Google’s own first-party apps. Using YouTube on the Home Hub is both good and bad. If you know what you’re looking for, like how to make pasta or the latest video from your favorite streamer, you can simply ask Google Assistant to help you. If your search requires a bit more digging, though, things can get hairy. At most, the Home Hub will display three videos on screen at a time - which can mean it might take a few minutes to find what you’re looking for. This isn’t a dealbreaker - as YouTube isn’t even available on Amazon’s smart speaker hub without diving into its web browser - but it isn’t as intuitive as simply walking over to your computer and simply searching for it there, either. 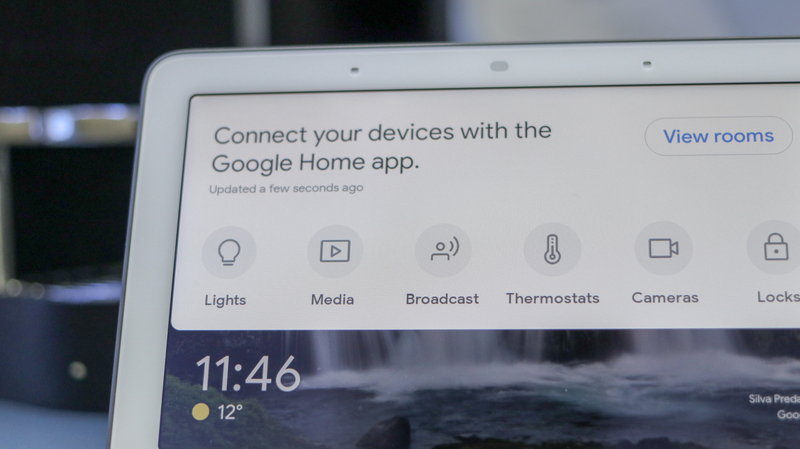 That same point can be extended to the Home Hub’s Google Cast functionality that allows you to beam videos to your Google Cast-enabled TV or Chromecast (it’s useful when you know what you’re looking for and easier to just pick up your phone if not) and for cooking directions - most recipes we saw were usually just text-based and required separate searches if we were unsure how to, say, blanch the vegetables or debone a fish fillet. It’s not that Amazon Echo Show does any of that better - it doesn’t - but given the fact that you can do all these things separately, it’d be nice to have seen one integrated process. Where the speaker shines a little less brightly, both figuratively and literally, is in the audiovisual department: YouTube videos don't look quite their best on the Home Hub's 7-inch screen and audio, while powerful enough for a song or two while cleaning the dishes, certainly doesn’t have the clarity or range to do justice to your music collection. That’s not to say there aren’t ways to make both these problems slightly less of an issue (there’s an EQ slider on both the Home Hub and on the Google Home app to restore some bass to the rather dull-sounding audio, for example) but largely you’re stuck with something that just wasn’t meant to be your primary way to watch shows and listen to songs. 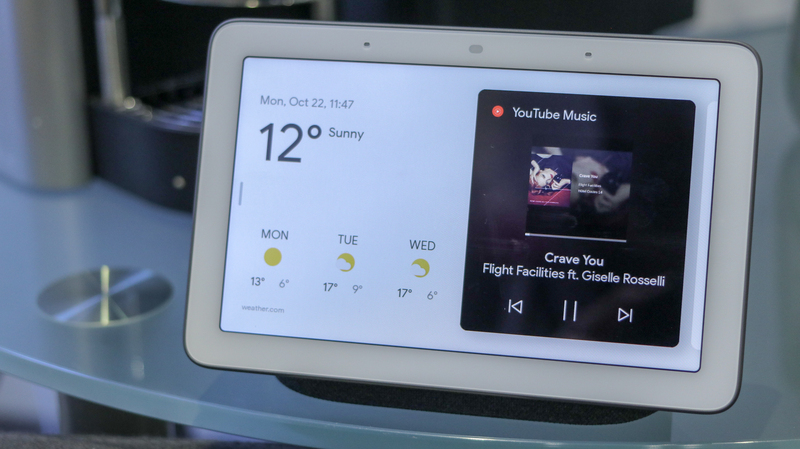 While Amazon’s Echo Show is a buckshot that has both no purpose and every purpose all in the same device, the Google Home Hub has a finite set of what it can - and cannot - do. 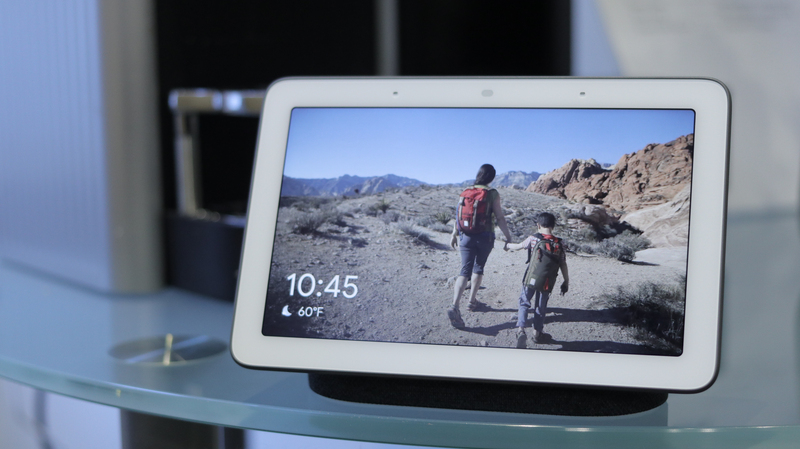 While the Google Home Hub isn’t missing many features compared the Amazon Echo Show, the ones it’s missing are relatively important: A small screen means most movie watching will need to occur in your living room, and - while it's great for photos - just doesn’t do justice to most video content. Thankfully, this is all counterbalanced by some really important features like Home View and the Google Photos integration - plus, even if it isn’t the most magnificent screen we’ve ever laid our eyes on, it is a fine substitute when you’re standing in front of it cooking dinner.